Speech and Hearing Sciences assistant professor Mark VanDam (here with student Kelli Raines) has received a grant from the National Science Foundation for a project that will combine many collections of audio recordings collected from recorders worn by children in their homes and daily lives. VanDam and researchers at other universities have recorded children and their parents interacting in different settings. In VanDam’s case, he – or graduate students working for him – affixed small recording devices, about the size of a deck of cards, to young children and captured the sounds of them communicating with their parents and siblings for entire days. VanDam says he has about 2,000 such recordings stored in a huge database. The $985,000 NSF grant will allow him and his collaborators from the University of California-Merced and Carnegie Mellon University to combine their respective databases and allow other scientists to contribute so that a wider research community spanning speech scientists, audiologists, cognitive scientists, psychologists, computer scientists and engineers can access them. They plan to build a massive database and develop software that will help them manage it. Earlier this year VanDam used his library of recordings to publish a study that concluded mothers and fathers communicate differently with their young children. That study garnered a lot of public attention. 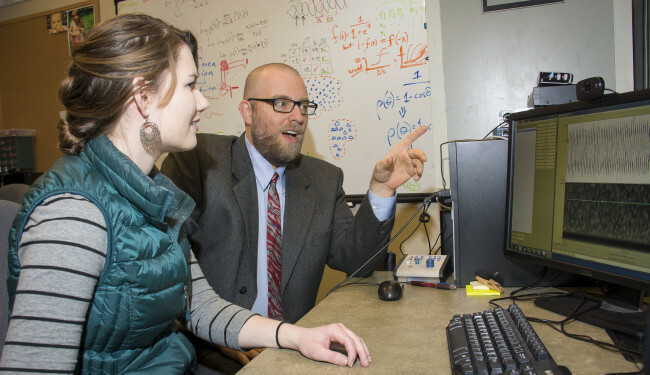 VanDam believes researchers like him can make more discoveries about family communication dynamics, language acquisition, speech and hearing disorders and automatic speech processing if they have access to audio data collected by other scientists.